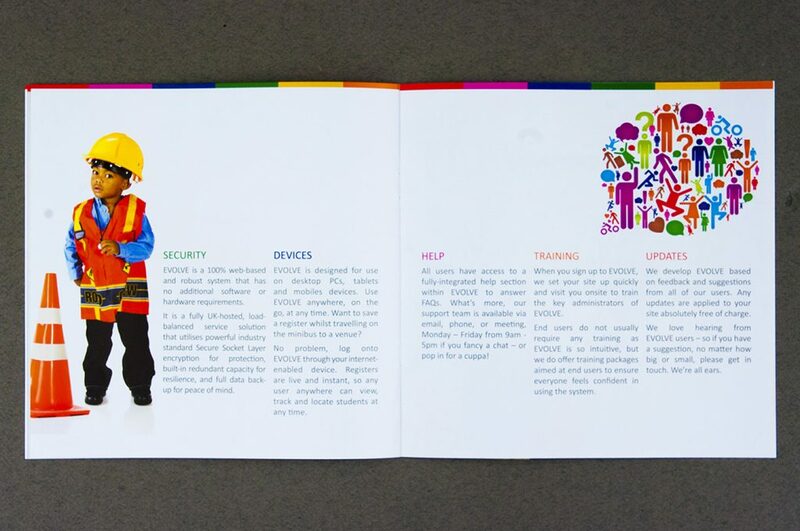 Evolve is a fully managed and robust online system that simplifies the process of planning, processing, monitoring, evaluating and reporting of educational and off-site visits. 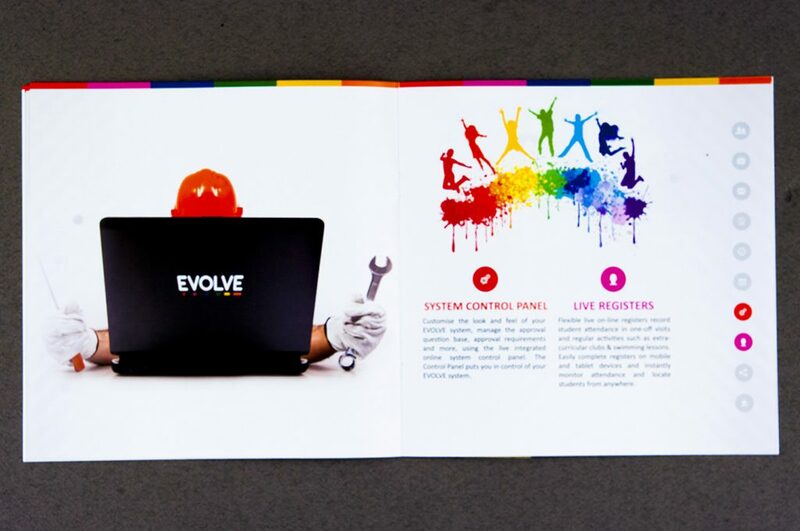 EVOLVE is currently used by more than 19,000 schools, academies, colleges and youth services across England, Scotland and Wales. 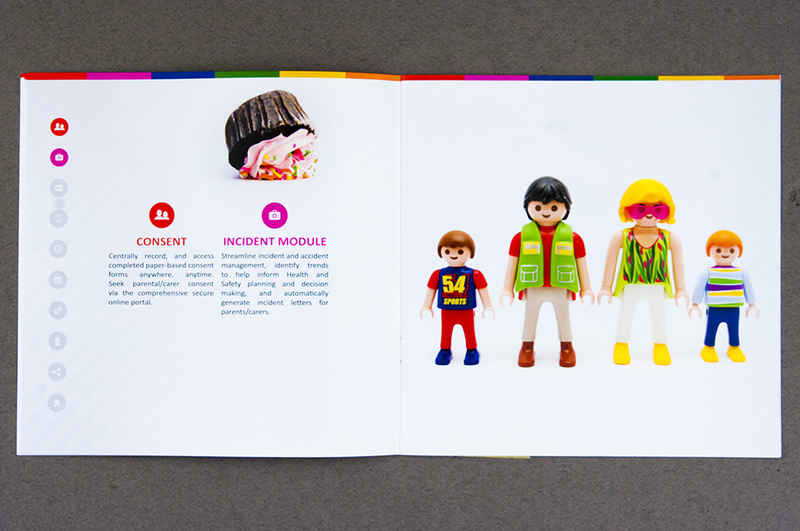 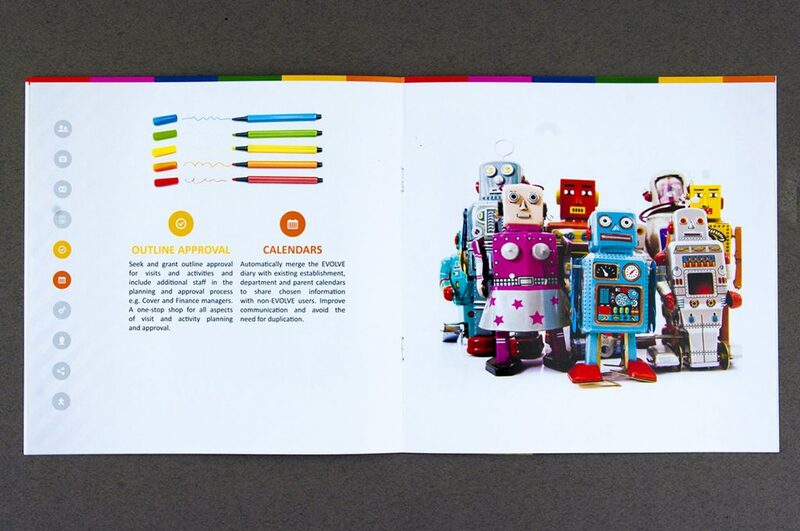 We were asked by Edufocus to design and print a brochure that explains the Evolve system.